Now a piece about clay pipes may not set your pulse racing but a couple of weeks ago I went to hear a speaker at my local history society on this subject. Most of these speakers I can happily avoid, polished performers with little to say who do the circuit endlessly. But this speaker wasn’t like that at all. A friend of mine had recommended him with the words, ‘He’s a hell of a chap,’ and he was, I wasn’t disappointed. Some of the stamps can be seen below. 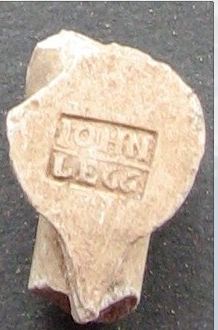 Apologies if the first one is upside down but the others can be clearly seen, Morris Decon, John Legg and Southorn and Co. The Legg family had a number of family members in the trade but the breakthrough as far as finding out more about how pipes were made was when the door of the Southorn factory in Broseley was opened in the 1990s for the first time since the owners left it after a working day in 1957. What a strange thing to do, just to leave the factory derelict for all those years but what a great benefit. To have a pipemaking factory left in working order it must have answered many questions about how pipes were made, how many were fired at any one time and where they were sent to. Now part of the Ironbridge Gorge Museum, the Southorn factory is definitely worth a visit when you are in the area. Below are three older pipes, dating from the seventeenth century perhaps, the top one with a lovely pattern near to the rim. Anywhere in the country you may find bits of pipe. 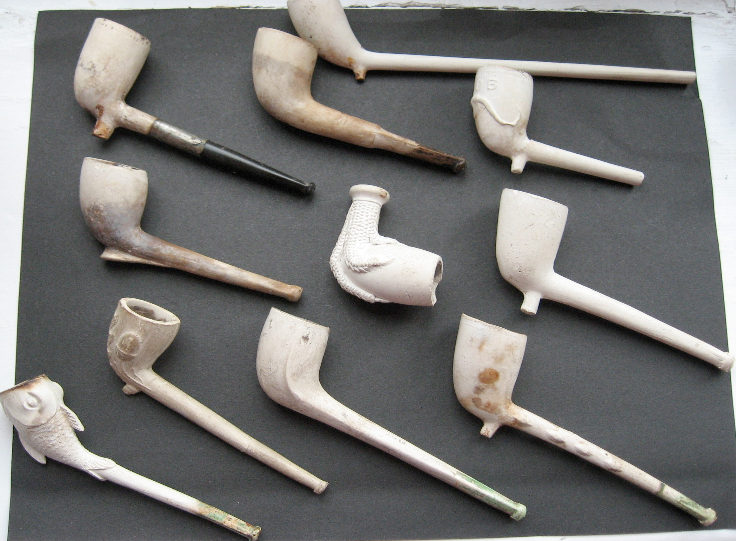 You may be rather dismissive of them because of their small intrinsic value, but please don’t be dismissive, a clay pipe can tell a big story. 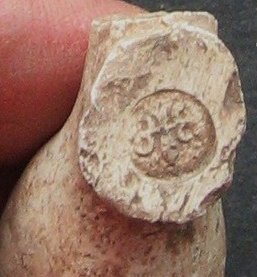 From the shape of the bowl, the age of the pipe can be judged, if the heel is intact, there may well be a maker’s stamp and if you have the part of the stem which goes in the mouth, you may well have the colour denoting where the pipe was made. 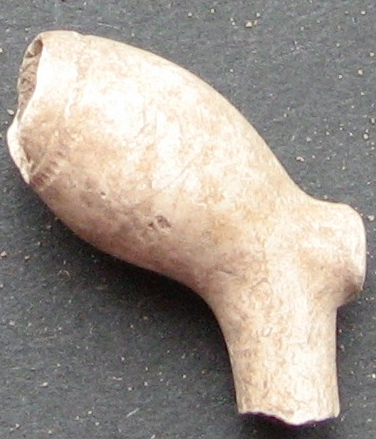 I can’t believe I didn’t find this earlier as I am always searching for more clay pipe info to pass on to my customers. I am going to link to this post in the history section of my own website. Thanks again. 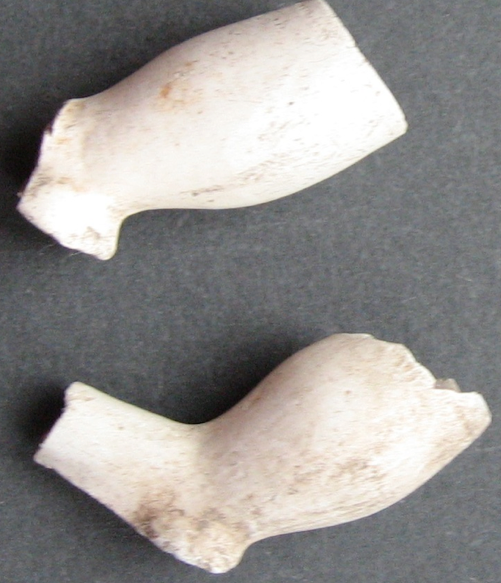 Hi Jane, I have recently bought a Tudor house in the centre of Shrewsbury and started to dig up fragment of clay pipes from the garden. These have various marks: John Legg 1696, Laidle Mourt, John Roberts, Georg Povy, SOMDKOR, Mich Brom, RS, JH (in a heart shape), and may others I cannot read (some of the above may not be accurate). I am interested in what they might tell me about the house and it’s early inhabitants. Can help direct my research?